Practice the possessive form. Make sentences .Use the word bank as a key. Enjoy it! 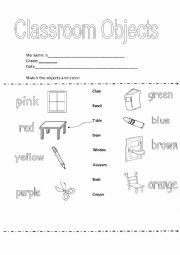 It is a nice worksheet to practice Yes or No Questions by means of identifying the classroom objects. Also, the students will practice colors!! !Enjoy it! 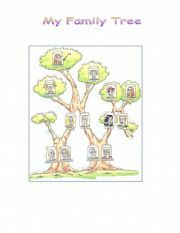 It´s a nice material for elementary students to write their own family tree. 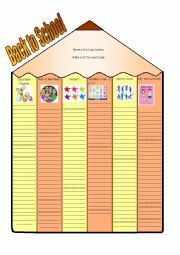 It´s an easy ws to practice the writing skills meanwhile the kids review the basic topics. 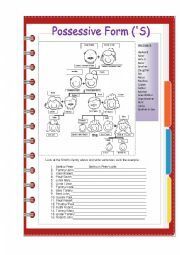 It´s a nice worksheet to practice family vocabulary, so the students read the information about Tom´s family and label! 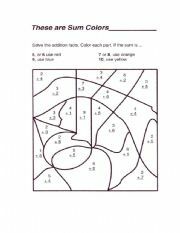 It´s a nice worksheet to practice adding facts and colors. 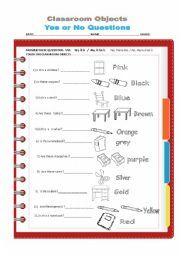 ItÂ´s a nice worksheet for preeschool students who are beginner to write.